The late Ronnie Drew of The Dubliners takes us on a stroll through Dublin in this documentary that has recently turned up on YouTube. Going by Ronnie's comment in the opening segment about The Dubliners 'singing the praises' of the city for 25 years, that would mean that the footage contained here would date from around 1987. For the second time in recent weeks an Irish writer has been honoured with a Google Doodle. The centenary of the death of Bram Stoker was observed earlier this year in April. Google however has chosen to commemorate his birth, with a doodle depicting Stoker's immortal creation (literally) of Count Dracula. Stoker was born in Dublin. His early years were spent at 15 Marino Crescent, Clontarf, where he was bedridden until the age of 8 due to a mysterious illness. It was during this period of convalescence that the seeds of his future literary output were sown. His mother, who grew up in the west of Ireland and had witnessed first hand the horrors of the Great Famine in Ireland of the 1840s, recounted stories to him from that period. These obviously left a lasting impression, even when he regained his health. Bram Stoker is arguably Ireland's most successful writer, although his reputation has been rather overlooked in his home country; a country that is generally proud if its literary accomplishments and heritage. This year however, on the centenary of his death, a Bram Stoker Festival has been inaugurated. The festival "aspires to honour his memory and achievements and to encourage a spirit of enquiry and curiosity about the creator of one of literatures most famous characters." Though when he died, not a single obituary mentioned his most famous work, today it has been translated into over fifty languages and Count Dracula has become the most filmed fictional character in movie history. In fact, Stoker's literary output was prolific. Other works, such as The Lady of the Shroud or The Lair of the White Worm are still in print and have also been adapted for other media including TV an cinema. Bram Stoker was born on this day, 8th November, in 1847. These incredible colourised images of Dublin in the early 1930s came to us via Retronaut. It's the same old city, just a lot less traffic. Irish novelist, playwright, journalist, satirist, Brian O'Nolan (aka Flann, O'Brien, aka Myles na gCopaleen) has been honoured with a Google Doodle. He is the second Irish author to be served with such an accolade: James Joyce was the subject of the Doodle that commemorated Bloomsday 2004. Although born in Strabane in Co Tyrone the author O'Nolan was a well known character in Dublin during his lifetime. He attended University College Dublin. His parental home was in Blackrock and he lived for most of his life at various addresses in South Dublin. Today his works are widely read and celebrated, captivating succeeding generations. He is particularly remembered for his novels that include At Swim-Two-Birds, The Third Policeman, An Béal Bocht. He was the subject of an international conference in Vienna in 2011 from which an International Flann O'Brien Society has been established. Closer to home, the inaugural Flann OBrien Literary Festival will take place over the weekend of Friday 12th and Saturday 13th October in O'Nolan's native Strabane and neighbouring town of Lifford. Full details including programme of events are available here. I just need to record that it upsets me that, of all the poetry, plays, stories my father left behind, THAT piece of verse is what is remembered. The thing is that it is not about Dublin at all but a put down of the rest of the country. Read it and you will see what I am saying. The bravado of her talk. Is close to the next moment. And brick upon grey brick. A good point and well-taken. Grateful we are too, to be reminded of Louis MacNeice's sombre yet elegant paean to the city. Irish people of a certain generation will possibly recall being taught both MacNeice's and MacDonagh's poems as part of English curriculum. He wrote poetic dramas and ballad operas. He published three volumes of poetry: Veterans and Other Poems (1943), The Hungry Grass (1947) and A Warning to Conquerors (1969). He also edited the Oxford Book of Irish Verse (1958) with Lennox Robinson. A play, Happy As Larry, was translated into a number of languages. He had three other plays produced: God's Gentry (a ballad opera about the tinkers), Lady Spinder (about Deirdre of the Sorrows and the Three sons of Ussna and by far his best writing) and Step in the Hollow a piece of situation comedy nonsense. He also wrote short stories. He published Twenty Poems with Niall Sheridan; staged first Irish production of Murder in the Cathedral with Liam Redmond, later his brother-in-law. Furthermost he was a popular broadcaster on Radio Éireann. His books are no longer in print but we understand that a project is underway to publish all of his writings, in e-book form, or at least those that can be found: it appears that he was a very prolific writer. Websites that contains links to his poems and plays can be found here and here. The National Library of Ireland also holds some of his personal letters and papers, in addition to those of his father, Thomas MacDonagh, also a poet and playwright, who was among the leaders of the 1916 Rising subsequently executed for his role, his name appearing as one of the signatories to the Proclamation of the Irish Republic. 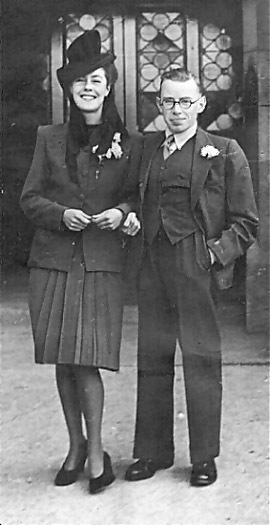 Louis MacNeice was born in Belfast in 1907, to parents originally from the west of Ireland. It is recorded that when he was six, his mother was admitted to a Dublin nursing home suffering from severe depression and he did not see her again. Inauspicious beginnings you might say, to his relationship with a city that would inspire him to write those lines. Where the sea takes its tithe of every boat. One can only wonder how words like "This never was my town ...and she will not have me alive or dead" must resonate in the heart of a homeless exile. Today is Bloomsday, a day when Dublin's literary set take time to celebrate and reflect upon the life and work of Dublin-born writer, James Joyce. It is observed annually on June 16th every year, because it is the fictional events of that day which are chronicled in Joyce's novel Ulysses. This year, like every other year since the first annual Bloomsday celebration in 1954, the streets of Dublin, despite the appalling weather which we have been having, will bear witness to a general carnival atmosphere. Some will attempt to re-trace the steps of Joyce's protagonists. Others will most like take refuge in a pub somewhere. Anyone who doesn't catch pneumonia will probably come back to do it all over again next year. Try not to get wet. With the centenary of Bram Stoker's death now upon us, we have chosen to mark the occasion by re-publishing an article we first posted last year. It can only be hoped, that the man who is singularly responsible for altering the way we think about life and death in popular culture, will find a fitting memorial in this, his native land, on the occasion of this, his 100 anniversary. Next year marks the centenary of the death of one who has a very good claim to be regarded as the most successful Irish writer ever. 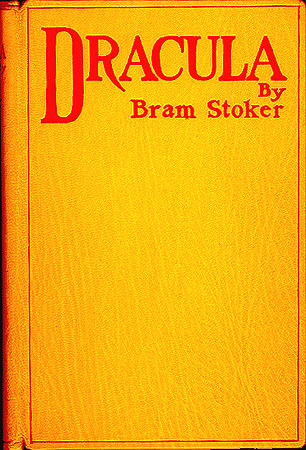 Dublin-born novelist, Bram Stoker died on this day in 1912. While Ireland lays claim to a long and distinguished list of noted authors, writers, poets - including a few Nobel laureates - Stoker has a special claim to fame. He alone created a character that has come to be immortalised and embedded in popular culture right down to this very day. A Wikipedia article on Dracula in Popular Culture informs us that the character of Dracula is second perhaps only to Sherlock Holmes, in terms of the number and frequency of cinematic and other renditions in which he has appeared. It is likely that if Stoker was alive today he would scarcely believe what he set in motion. But is it merely coincidence that the character of Dracula was created by an Irishman? Could Dracula's creator have come from any country? By all accounts Stoker himself was a cosmopolitan spirit who travelled widely and absorbed a broad spectrum of cultural influences. He never actually travelled to his villain's stomping ground of Transylvania, even though for most people he is the one who put it on the map. But it is reported that in the course of writing his great work, he made meticulous study of the history, culture, folklore and even the geography of the locality. Interestingly though, there is also information that "despite being the most well-known vampire novel, Dracula was not the first. It was preceded and partly inspired by Sheridan Le Fanu's 1871 Carmilla about a lesbian vampire who preys on a lonely young woman. Joseph Sheridan Le Fanu was another Irish and Dublin-born writer of ghostly tales who lived between 1814 and 1873. Bram Stoker was born in Dublin in 1847 at the height of the Great Famine. This was one of the most catastrophic events in Irish history, with hundreds of thousands of people dying from starvation and disease or emigrating in 'coffin ships' to America. The famine may have inspired the visual characteristics of Count Dracula and also his infamous obsession with bloodsucking, McIntyre believes. "So metaphorically speaking we think that Count Dracula might be the landlord up at the big castle sucking the blood of the peasants. - Bram Stoker's Dracula - more Irish than Transylvanian? It is known that Stoker was afflicted by a strange and unexplained illness in childhood which meant that he was bedridden for the first seven years of his life. During his long convalescence his mother reportedly bolstered his spirits by regaling stories of a cholera epidemic that took place in her home town of Sligo in 1832! By some atmospheric freak in this church bodies are preserved by a natural mummification or they were in the past. And finally, for those who like intrigue, McIntyre suggests that the name Dracula might itself be derived from the Irish words Droch Ola, meaning of course 'bad blood'. In Ireland we rightfully sing the praises of Yeats, Joyce, Beckett, Wilde, Shaw, O'Casey, Swift, Goldsmith, Synge, Behan and Kavanagh - but where is Bram Stoker? Sadly and shamefully [Stoker] is totally neglected in his own birthplace, by his own people. Bram Stoker's Dracula - more Irish than Transylvanian? A historical curio here for all you nostalgia buffs out there. Back in 1976 when motion picture technology was considerably less advanced than what it is today, someone had the idea of driving around Dublin city centre, capturing what they saw on film. And here is the result. Not a lot you might say but interesting to see how much Dublin has changed, and yet how familiar it remains. Not a mobile phone in sight either.